In order to integrate Progressive Downloader with your favorite browser you need to install the Interceptor. Allow browser to launch Progressive Downloader if you’re asked. Switch to Progressive Downloader and select the Interceptor preferences from the main menu of the application. In case you don’t see the menu item, please perform installation again. Click Install to start the integration procedure. Select types of files you wish to download in Progressive Downloader and click Finish. The last step is to install extension to your browser. Note! Starting macOS Mojave access to Apple Safari's cookie database is forbidden by default. 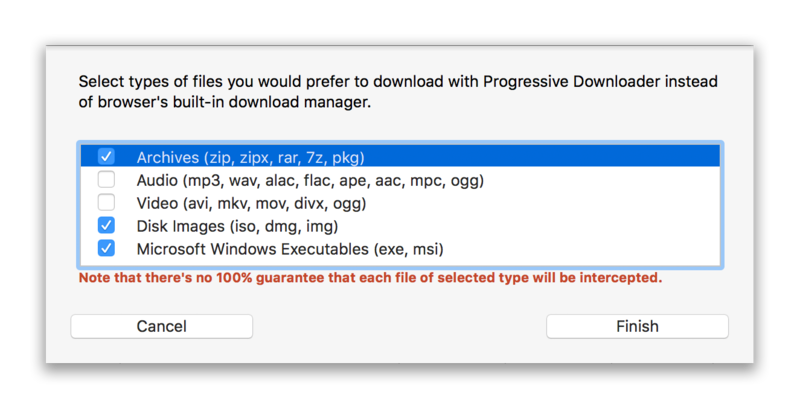 See how to grant Progressive Downloader access. 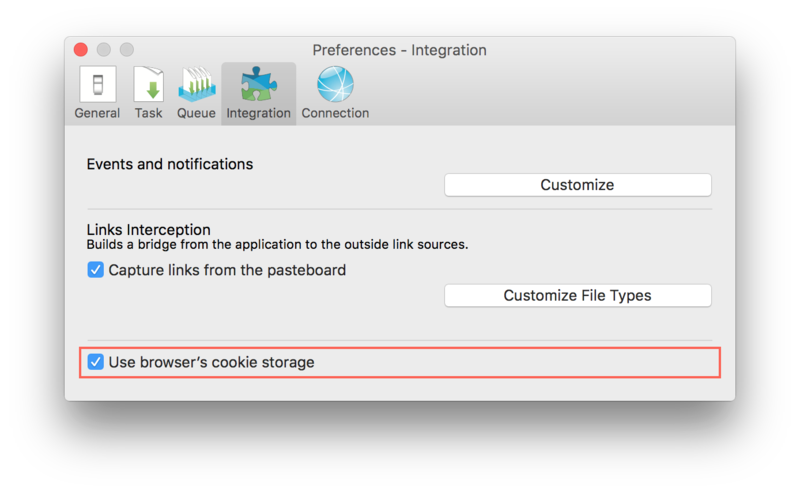 You can forbid the application to use browser's cookie storage anytime you want by unchecking the appropriate box on the Integration tab. If you ever want to integrate Progressive Downloader with two or more of your browsers you need to do the following. For example, you have Mozilla Firefox, Apple Safari and Google Chrome. Start with Mozilla Firefox and then go back to the Interceptor's preferences window to click Delete. Don't be afraid, you will loose nothing. After your click the Delete button turns to the Install button. Click it and go through the integration process again with Apple Safari. Switch back to the preferences window and click Delete once more to finish the whole thing up with Google Chrome. 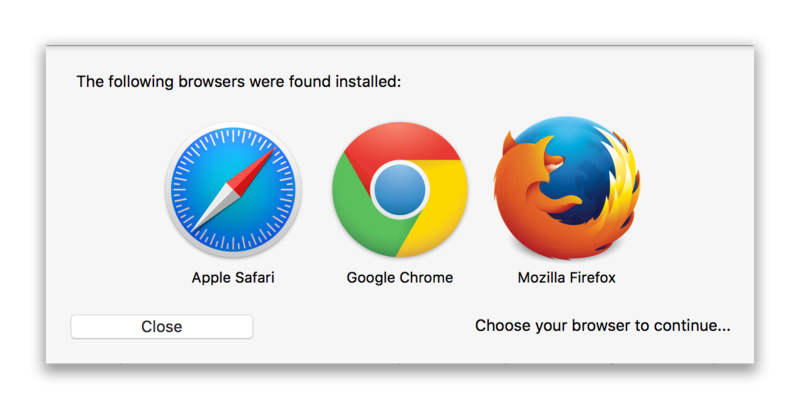 The trick is that you need always start with the Mozilla browsers before switch to all the rest. Keep in mind that Progressive Downloader will use the cookie storage of the last browser you integrated with.